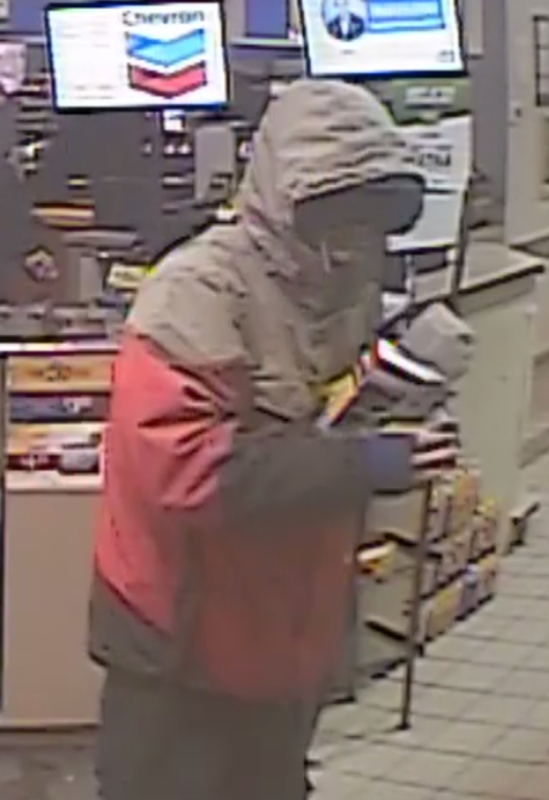 Police say on March 14 at approximately 6:10 AM, a male entered the Chevron gas station near Safeway and gestured he was armed. The suspect got away with cash, lottery tickets and candy and was last seen heading east across the parking lot. An officer on duty immediately responded to the report but was unable to locate the suspect. No one was injured. Should you have any information regarding his identity, please contact the Smither’s RCMP at 250-847-3233 or Crime Stoppers at 1-800-222-8477.